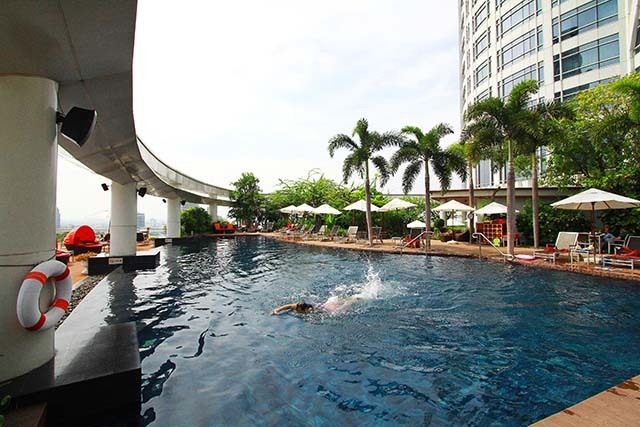 Thailand plays hosts to romantic destinations galore and its capital, Bangkok, has a lot to offer for an idyllic interlude. 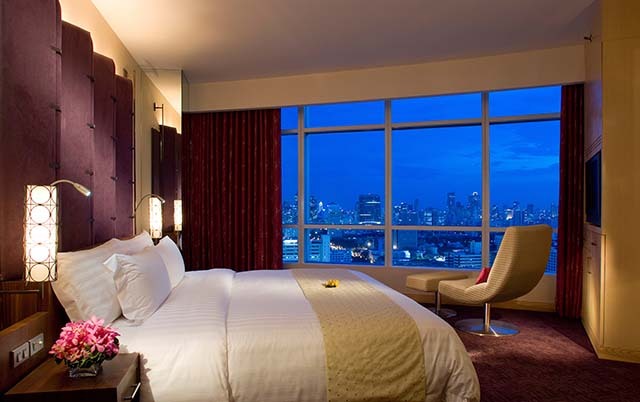 Come stay at Centara Grand at CentralWorld, right in the heart of the city, where rooftop dining, sublime city vistas and an award-winning spa await you. 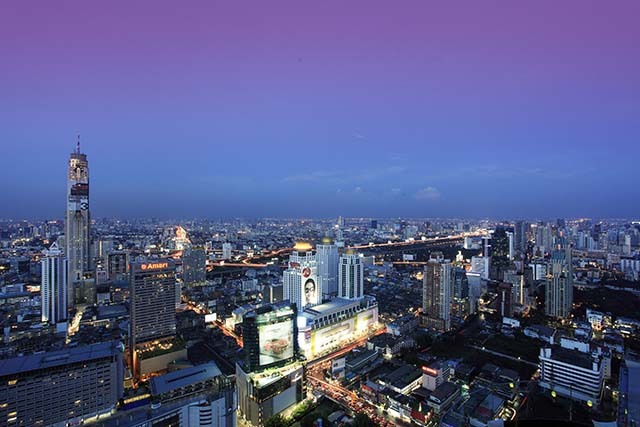 Bangkok is a fascinating city where indulging in dining, shopping and pampering is elevated to an art form. 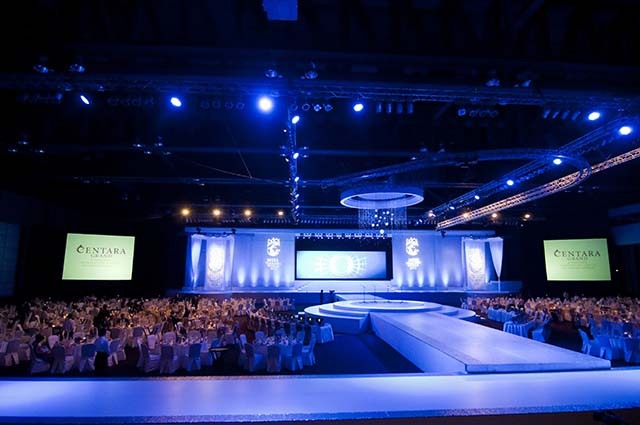 Dining - At the hotel, the following restaurants and bars make for a romantic dining experience. 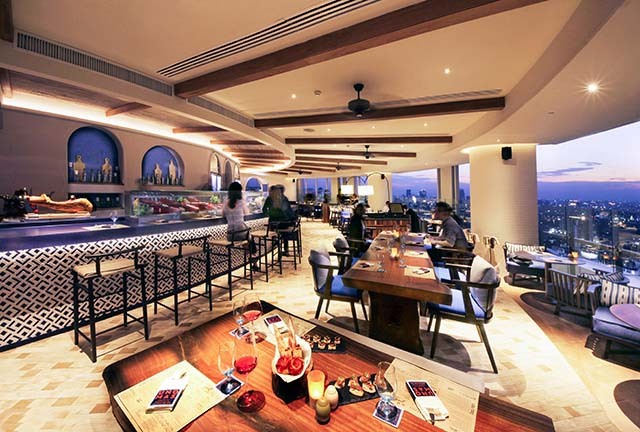 Tapas and Spanish flavours are served at UNO Mas restaurant, on the hotel’s penultimate floor, against a backdrop of spectacular city views. 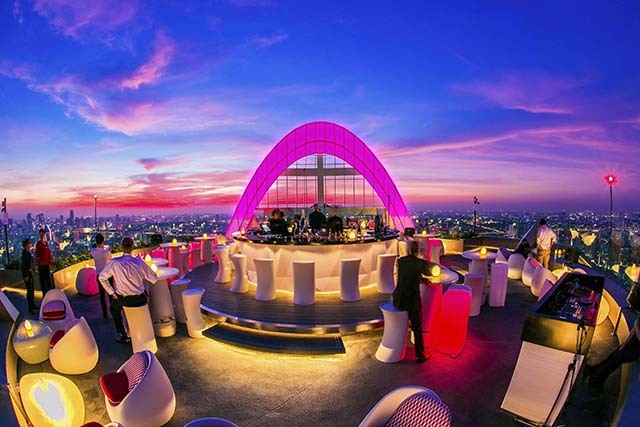 RedSky is one of the city’s favourite thanks to its 360-degree views over Bangkok’s skyline, its exquisite food, and expansive drink list. Dramatically perched atop the hotel, CRU Champagne Bar is the latest addition to the hotel’s stellar collection of dining venues. Rediscover your inner balance – Could there be anything more satisfying than a relaxing massage at the hotel’s award-winning spa after a busy day of exploring, shopping, or sunbathing poolside? Our award-winning spa is a wellbeing retreat in the heart of the city offering traditional therapies drawing from Thai and Ayurvedic philosophies, water treatments, as well as modern rejuvenation practices. 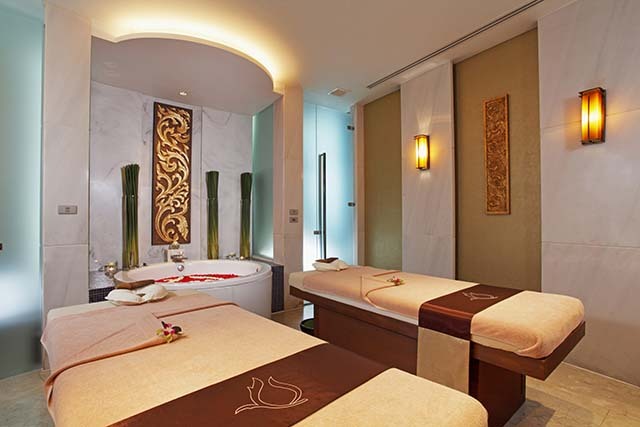 Many of the blissful spa treatments and massages on offer are to be enjoyed in tandem! 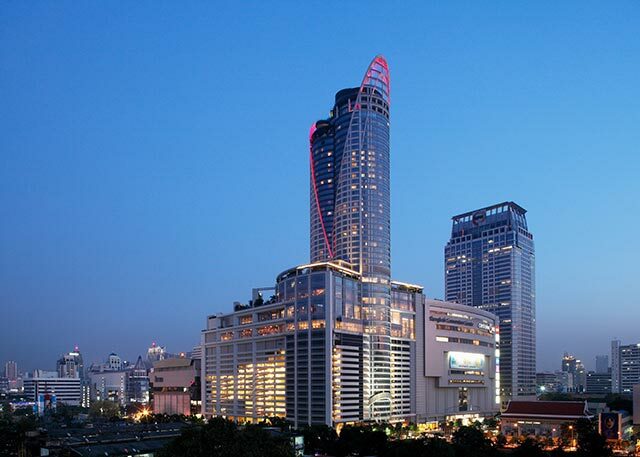 Shopping – From world-class shopping centres to curio stores and weekend markets, shopping hardly gets more comprehensive than here in Bangkok. 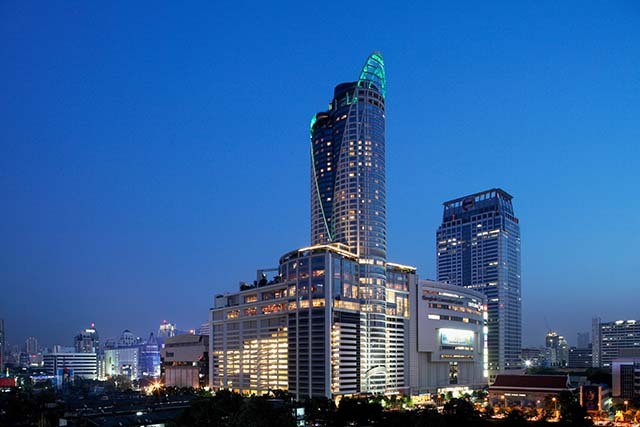 CentralWorld, one of the largest lifestyle and shopping destinations in South East Asia, is directly connected to the hotel. 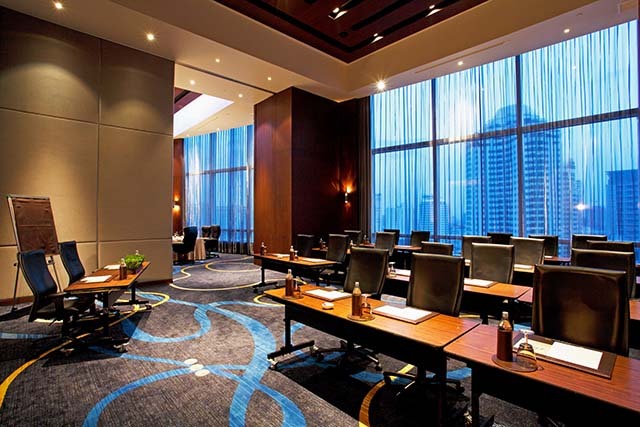 Central Chidlom Department Store and Central Embassy shopping complex are less than 15 minutes away. Time for serious shopping!